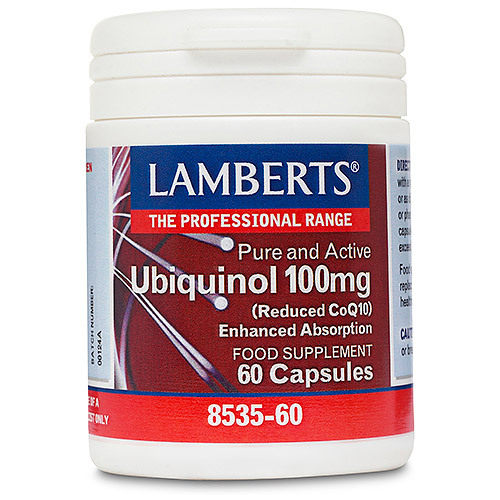 LAMBERTS Ubiquinol is the reduced active form of Co-Enzyme Q10 (ubiquinone). Like Co-Enzyme Q10, it is critical to the cellular ATP (energy) production cycle. Without the presence of both of these within the body’s cells, cellular energy cannot be generated or sustained. The only way to increase ubiquinol levels in the body was, until recently, from the conversion of it from co-enzyme Q10, which research has shown becomes increasingly difficult with age. Co-Enzyme Q10 will continue to be an important supplement for many. The pre-converted form of co-enzyme Q10, ubiquinol, will however be of greater significance for those of 40 years plus, or those affected by age-related health conditions, due to its enhanced absorption. 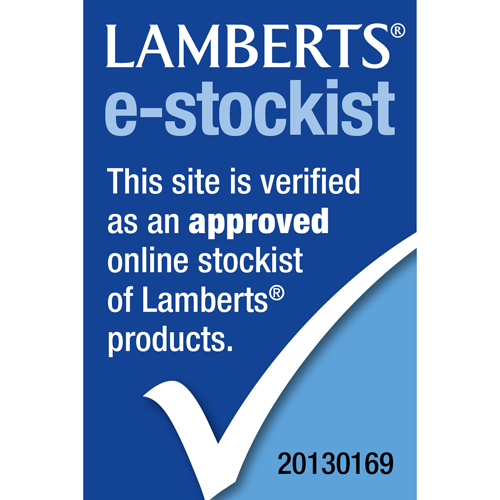 LAMBERTS Ubiquinol is derived from co-enzyme Q10 that is bio-identical to the co-enzyme Q10 produced within the body (some co-enzyme Q10 products are processed from bacteria or tobacco derivatives). Each easy to take, small capsule provides a full 100mg. Sunflower Seed Oil, Capsule Shell (Gelatin, Glycerin, Colour: Iron Oxide), Silicon Dioxide. Take 2 capsules daily with a meal for the first 2 weeks, or as directed by a practitioner or pharmacist. Thereafter, take 1 capsule daily with a meal. Do not exceed recommended daily dose. Food supplements should not be substitute for a varied diet. Do not take if pregnant or breast feeding. To be stored in a cool, dry place and protected from light. Below are reviews of LAMBERTS Ubiquinol - Reduced CoQ10 60 x 100mg Capsules by bodykind customers. If you have tried this product we'd love to hear what you think so please leave a review. 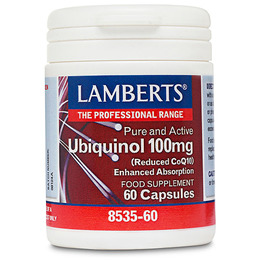 LAMBERTS Ubiquinol is the reduced form of Co-Enzyme Q10 (ubiquinone). It is critical to the cellular ATP (energy) production cycle. Without the presence of both of these within the body’s cells, cellular energy cannot be generated or sustained.